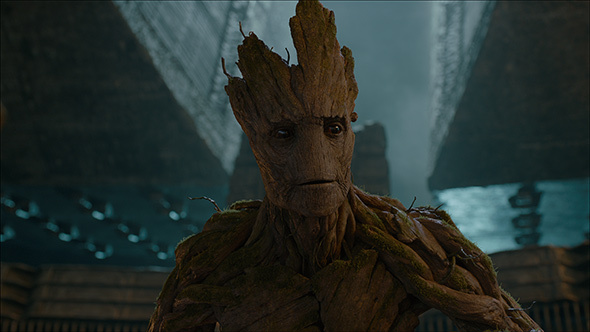 Learn how to speak “I am Groot” in 15 different languages in this Marvel’s “Guardians of the Galaxy” featurette, available now on 3D Digital and Digital HD, and on 3D Blu-ray, Blu-ray, DVD and On-Demand December 9! Marvel’s Guardians of the Galaxy is available today on Digital HD and for you to take anywhere when you sign up for Disney Movies Anywhere. To celebrate the release, you can watch a video featuring Groot’s famous catchphrase in multiple languages across the galaxy! Today also marks Walmart’s VUDU service joining Disney Movies Anywhere (DMA) as a participating retailer, further enhancing the ability to manage and enjoy your digital collections of Disney, Pixar, and Marvel movies at home and on the go. Print article This entry was posted by Art Eddy III on November 18, 2014 at 1:47 pm, and is filed under Videos. Follow any responses to this post through RSS 2.0. Both comments and pings are currently closed.